You can pick a red or white Serra Grande Merlot or chardonny. 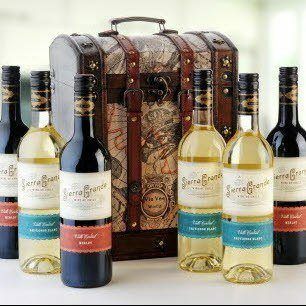 6 bottle 75cl packed in a colourful gift pack. You can add a gift card and pick the delivery date. Elegant keepsake chest gift box themed on the world map.